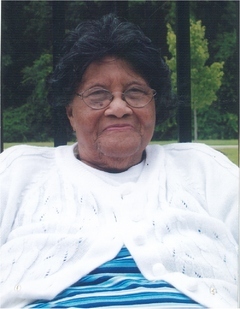 Mrs Mary Ella Parker 93, mother of three children: Mr. Lee Murphy and wife (Barbara) of Hamden, CT; two who proceeded her in death: Mr. Marcellus Parker and Gloristeen (Parker) Capehart. She was born in Grifton, NC to the late John and Pearlie Mobley. Mary married the late Marcellus Parker and she relocated to Winterville, NC. She joined RockSpring FWB Church where she served in many capacities until her health began to decline. Burial will be in Homestead Memorial Garden. I'm sorry for your loss. Death is such a hateful and ugly event. But God’s words in the Bible gives us future hope at Isaiah 25:8 where HE promises to wipe away our tears and swallow up death forever. May you find comfort from God’s words in the Bible.